All of our made in the USA with sustainable materials and unmatched attention to quality and service. 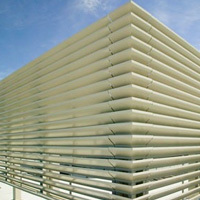 Louvers serve a critical need to allow air flow through openings in buildings while rejecting unwanted elements such as water and airborne debris. While the concept is simple, selecting the right product for the application is important to meeting performance needs. Use our filtered search tool to find the right product to meet your needs. Custom sunshades and light shelves are sun control devices that contribute to aesthetics, sustainable design and occupant comfort. 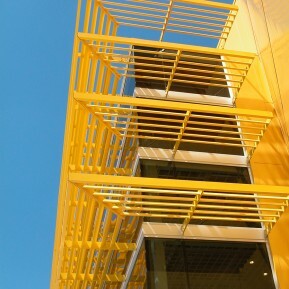 Sunshades are a striking addition to a building’s exterior. 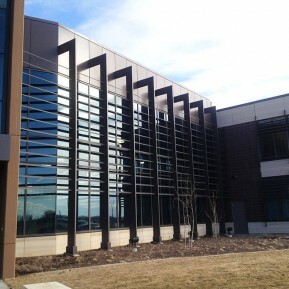 They also help owners save money and reduce a building’s carbon footprint by lowering energy required to offset unwanted heat loads and can contribute to daylighting strategies. ILI has become a leading sunshade manufacturer because we embrace imagination in design. 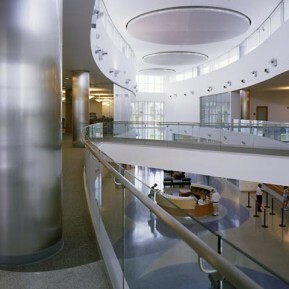 Complex, highly customized projects are our specialty. Decorative grilles or decorative screens can be used simply as a decorative feature or for creating visual screens to increase privacy, hide equipment or parking facilities. Applications that are strictly aesthetic are limited only by the imagination. For functional decorative grilles and decorative screens, selecting the right product for the application is important to meeting performance needs. Regardless of the application, we are happy to help create a design that will meet your specific needs. 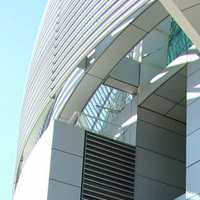 Equipment screens are designed to hide unwanted views and increase security of mechanical systems, HVAC equipment, trash enclosures, parking garages and other applications. Because they are louvered screens, they achieve these goals while still allowing air flow to the systems or areas they hide. 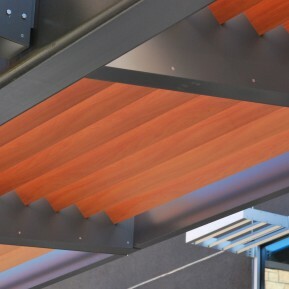 Louvered fences hide views in areas where a full enclosure is not required. Browse through a selection of available products with vertical, horizontal or sightproof blades, or let us help you select the best product for your application. Our column covers and beam wrap products provide a wide range of durable and attractive solutions for interior and exterior structural applications. Available in radiused, square or oval profiles with hairline, caulked or reveal joints, imagination is virtually the only design limitation. 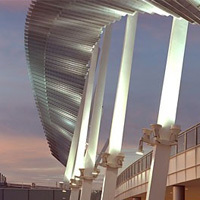 LI can help bring your ideas to life for large-scale custom architectural metal products when requirements are beyond a traditional metal fabrication shop. Read more or contact your local representative to begin realizing your ideas for a custom metal product.